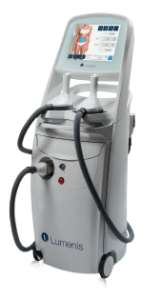 SlimME™ body contouring system sets itself apart from existing body contouring procedures by combining four technologies into one device that offers the advantages of selective thermal tissue heating in an ultra-fast procedure. 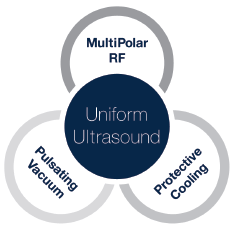 The innovative combination of uniform ultrasound, protective cooling, multi polar radio-frequency and pulsative vacuum ensures safe, efficacious and fast volumetric heating united to provide long-term results and improved outcomes. A typical SlimME™ body shaping procedure begins with the measurement of fat thickness in the desired area and marking of the SlimZone. Lumenis coupling lotion is then applied to the procedure area. The ergonomically designed handpiece is placed over the first location and the session will be activated via a user-friendly intuitive interface. 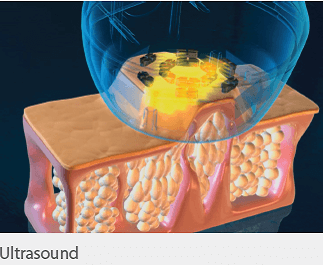 A novel transcutaneous, non-focused ultrasound energy delivering device is able to induce subcutaneous adipose tissue destruction in an animal model. 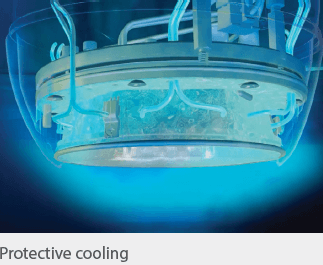 Lasers Surg Med. 2017 Jan;49(1):110-121. doi: 10.1002/lsm.22586. Epub 2016 Oct 29. 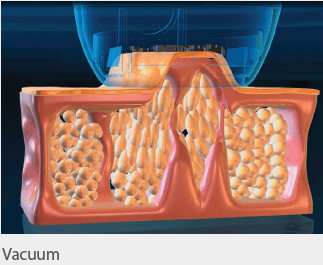 Levi A, Amitai DB, Lapidoth M.
The safety and efficacy of thermal lipolysis of adipose tissue via ultrasound for circumferencereduction: An open label, single-arm exploratory study. Lasers Surg Med. 2016 Oct;48(8):734-741. doi: 10.1002/lsm.22544. Epub 2016 Jun 20. Otto MJ.